A flotilla of kayaks and canoes, along with a handmade boat made of 65,000 wine corks, pushes off from the Orford Town Boat Launch for a gentle ride down the river. The otherwise peaceful scene is only broken up by a pontoon boat overflowing with polished brass instruments: the Lyme Town Band is onboard, regaling both the river and the paddlers with marches as they make the journey. The Lyme Town Band, aboard a pontoon boat, plays for kayakers along the Connecticut River. So it goes on Day Five of a two-week river odyssey coordinated by the Connecticut River Conservancy, a group dedicated to the protection and restoration of New England’s longest river. The event, called the Source to Sea Jump In Journey, is meant to highlight just how far this river has come in both water quality and health. Back when it was still a sewer, Dr. Joseph Davidson, president of the then-titled Connecticut River Watershed Council, embarked on the first ‘Source to the Sea’ journey. It was 1959, and the river was the recipient of raw sewage, industrial pollution, as well as rusting cars and other waste. “This trip on the Connecticut from the 'Source of the Sea' opened our eyes to the treasure of the valley, and some of the ways it is being destroyed through man’s carelessness and lack of concern for the future of his own kind,’” says Davidson, who wore a gas mask in some sections to highlight the stench from the water. With that 1959 trip serving as inspiration for this voyage, the group’s current executive director, Andrew Fisk, is retracing the river, highlighting the progress made since Davidson’s jaunt. Andrew Fisk, executive director of the Connecticut River Conservancy, speaking along river's shore in Lyme, NH. 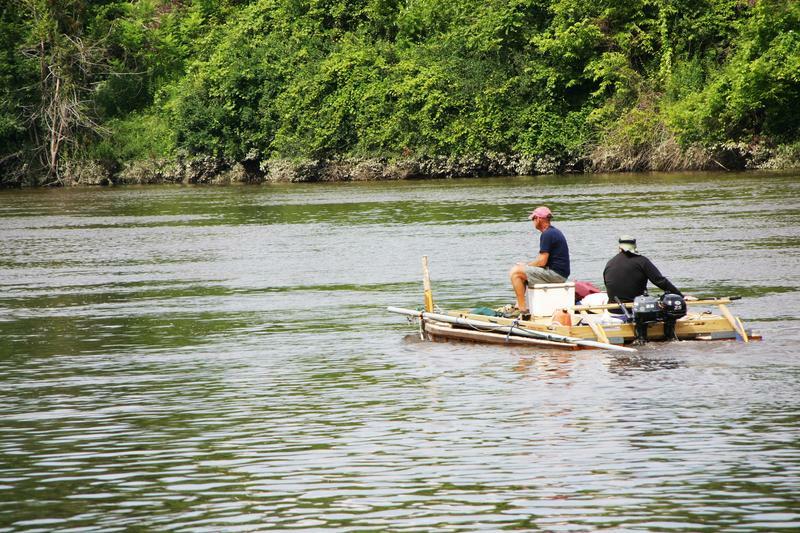 The Connecticut River, for all its improvement, still does have its challenges. Fish populations are low, nitrogen levels are too high, and hydroelectric dams are causing erosion in some sections. But advocates also say that the Clean Water Act, as well as a bipartisan tradition of conservation in New England, have made a huge impact on the river’s health. “That river is yours. You own it. You own everything that lives in it, and with ownership comes stewardship, and with stewardship comes a responsibility to take care of your river,” says Fisk. Congresswoman Annie Kuster, who represents towns along the river in New Hampshire, takes part in the celebration in Lyme, NH. After enjoying a spread of cookies and juice at a pull-off in Lyme, Fisk and his fellow kayakers, as well as a few band members, take a quick dip in the Connecticut. But it won’t be long before they are back on the move. There are still some 200 more miles to go on the river before they reach the Long Island Sound, where the Connecticut meets the sea. 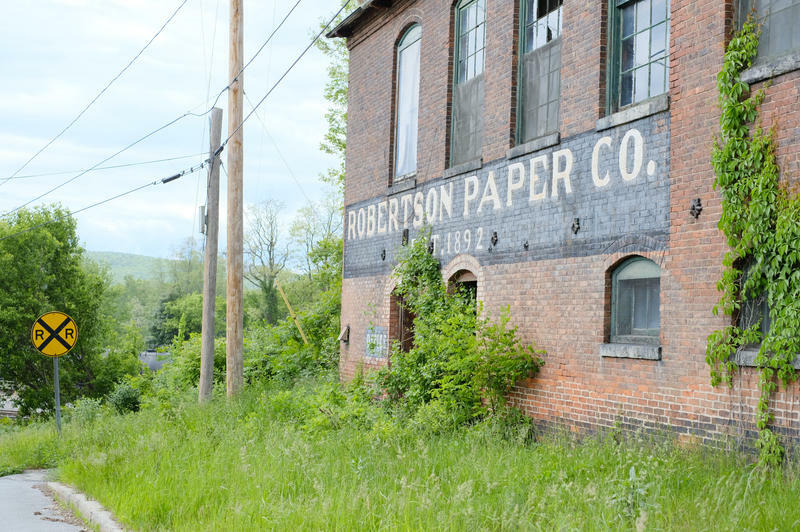 The EPA has awarded $200,000 for the redevelopment of an old paper mill site along the Connecticut River. Figuring out what to do with old mill buildings is an ongoing - and expensive - challenge for many New England towns. This site, the old Robertson Mill, actually sits on an island in the Connecticut River, right between New Hampshire and Bellows Falls, Vermont. You can hear the nearby falls from here on the property. "It’s one of the old mill buildings that this town, really...a lot of this economy was built upon." 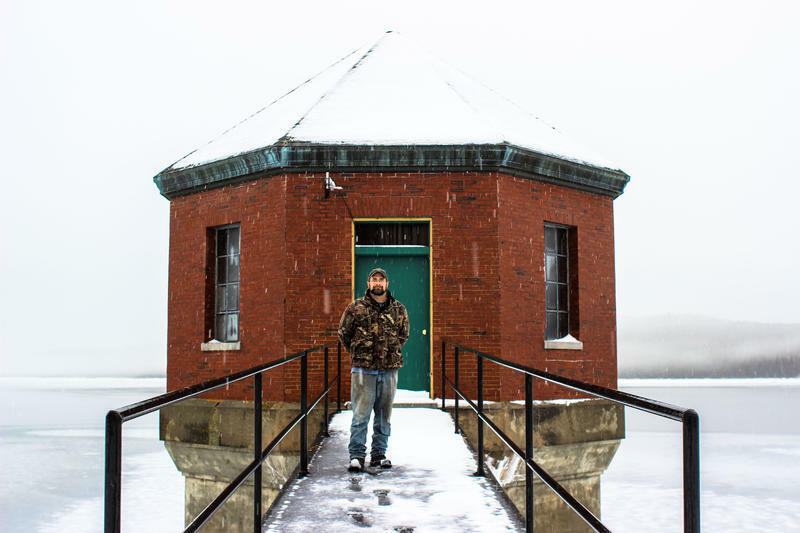 There are 4,800 dams in New Hampshire but only two where a full time dam operator is required to live on site. There's Moore Dam in Littleton and Murphy Dam in Pittsburg. NHPR's Sean Hurley recently visited with Murphy Dam Operator Alan Williams to learn more about life on a dam. Near sunrise, nearly every morning, coffee in hand, Alan Williams leaves the dam house and walks up the dam road and heads out across the half mile bunker of piled earth that is the Murphy Dam.